Today is Virginia Woolf's Birthday. In honor of that occasion Paste Magazine's List of the Day features 10 songs in celebration of the event. A soundtrack for her life. 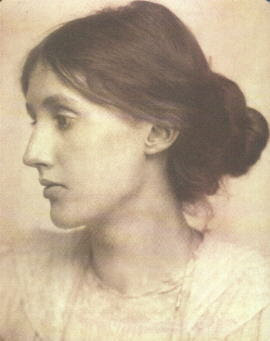 Happy Birthday Virginia Woolf! You were a huge inspiration to me in college when i read your essay: A Room of One's Own. and thank you Elena Ciletti for making us read it in your art history class... and thank you Lucindaville for posting your post today in remembrance of her.